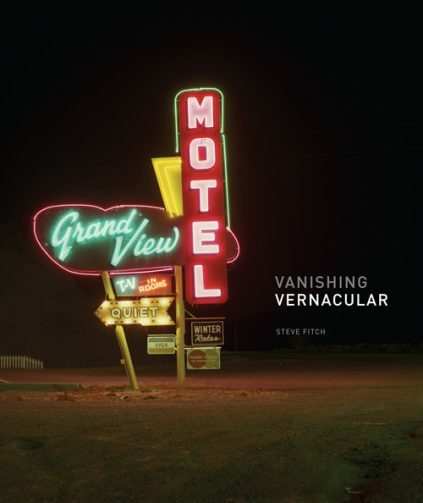 Steve Fitch has photographed examples of “vanishing vernacular architecture,” both ancient (petroglyphs) and modern (neon motel signs, drive-in movie theatre screens, and radio towers throughout the West) for the last forty-five years. Interestingly, as he points out in his essay that accompanies the book, the petroglyphs have endured far better and longer than anything made in the last sixty years. This fascinating and comprehensive volume presents over 100 images along with Fitch’s text, and an insightful essay by curator Toby Jurovics that looks at Fitch’s work in relation to that of the practitioners of the photographic style known as The New Topographics, and Fitch’s own view of it as a kind of cultural anthropology. Steve Fitch has been a photographer since the early 1970s. He has taught at the University of Colorado at Boulder, Princeton University, and, most recently, at the College of Santa Fe and The Santa Fe University of Art and Design. He is the recipient of two National Endowment for the Arts Fellowships in 1973 and 1975, and the last National Endowment for the Arts Survey Grant, awarded in 1981. He is also the author of Diesels & Dinosaurs: Photographs From the American Highway (Long Run Press, 1976), and Gone: Photographs of Abandonment on the High Plains by Merril Gilfillan, Kathleen Howe, and Evelyn Schlatter (University of New Mexico Press 2002). His work is in the collection of the Smithsonian American Art Museum, among others. Toby Jurovics is Chief Curator and Richard and Mary Holland Curator of American Western Art at the Joslyn Art Museum in Omaha, Nebraska. Previously, he was Curator of Photography at the Smithsonian American Art Museum and Associate Curator of Photography at the Princeton University Art Museum. 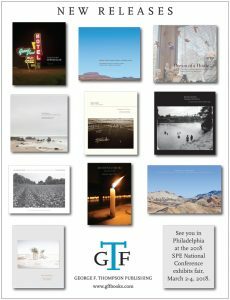 He has organized exhibitions on Robert Adams, Lewis Baltz, Barbara Bosworth, Emmet Gowin, A. J. Russell, William Sutton, and William Wylie, among many other artists, and has written seminal essays on Thomas Joshua Cooper, John Gossage, and the New Topographics. He is the author of Framing the West: The Survey Photographs of Timothy H. O’Sullivan (Yale University Press, 2010). Watch a clip about Vanishing Vernacular on BBC. Read an interview with Steve Fitch with photo-eye gallery. Read an interview with Steve Fitch on Spiegel Online. Read a review of the book on this Holiday Gift Guide 2018.